Paper’s fluid, physical interface adds a new way to work with images. Scissors, glue, a stack of old magazines and your imagination; those were the basic ingredients for visualizing an idea when you were very young. As we get older, we learn new techniques and new tools. But we never outgrow the creative power of simply combining images to express our ideas. Whether you call it collage, scrapbooking, or moodboarding, putting pictures on a page is one of the most satisfying and accessible forms of visual expression. While an army of apps has offered countless new ways to layer, retouch, and filter your photos, there’s still something missing. The simple, tangible experience of clipping and arranging images together has never been faithfully translated to our touch screens. 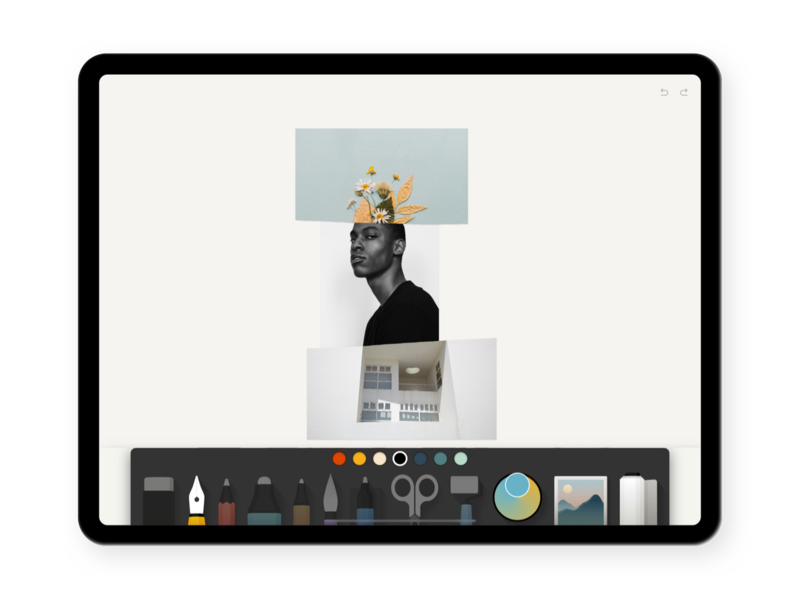 With our latest release, Paper invites creators of all kinds to rediscover the experience of cutting out and combining images. It’s simple, intuitive, and useful for creators of any age. You can quickly pull in images from your photo library, or search the incredible Unsplash collection of over 900,000 beautiful photos. Working with several images at once can be tedious. Paper makes the process feel physical and natural. You can directly grab and manipulate any image without complex controls for selection. “Bring forward”, “send to back”, “change z-order” — these software commands for controlling the way images overlap in software hasn’t changed much over the years. 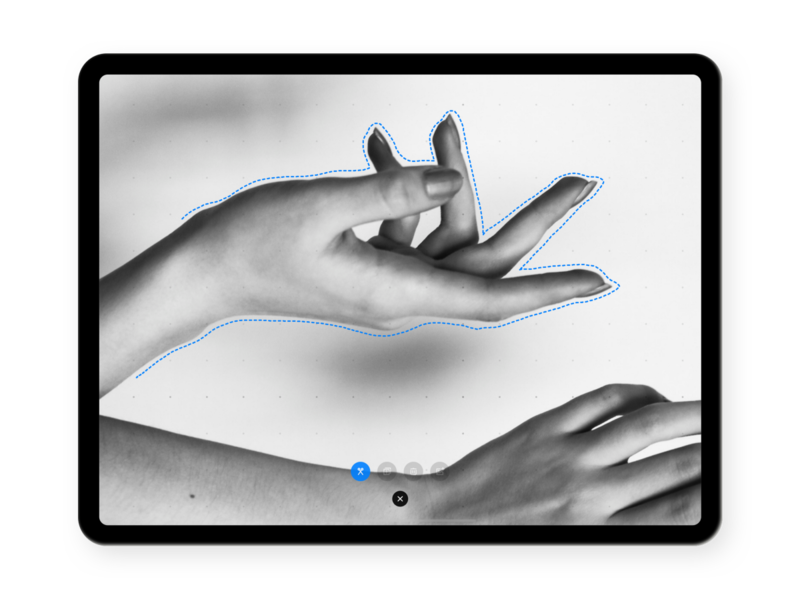 We’ve designed two new gestures in Paper to quickly move an image in front of any other. Double tap brings an image to the front, or sends it all the way to the back. To place an image in front of another, keep holding it with one finger while you tap on a second image. Tap the cut button, then draw a line to cut away any portion of the selected image. When it’s time to clean up, just toss any image towards the edge of the screen to remove it. Placing multiple images onto a page is currently our most requested feature. We hear from artists, architects, designers, and students who want the flexibility to combine their sketches with imported images. We think these new tools in Paper will open up new possibilities for our customers. Paper users experience a sense of freedom to express themselves naturally, without the traditional barriers that come with software interfaces. We made Paper to be an essential creative tool — a “back to basics” product that never gets in the way and works the way that you do. WeTransfer makes beautifully obvious tools that bring ideas to life. Every month, 42 million users in 195 countries send one billion files through our web platform. Founded in 2009, our team is based in the Netherlands and the US.